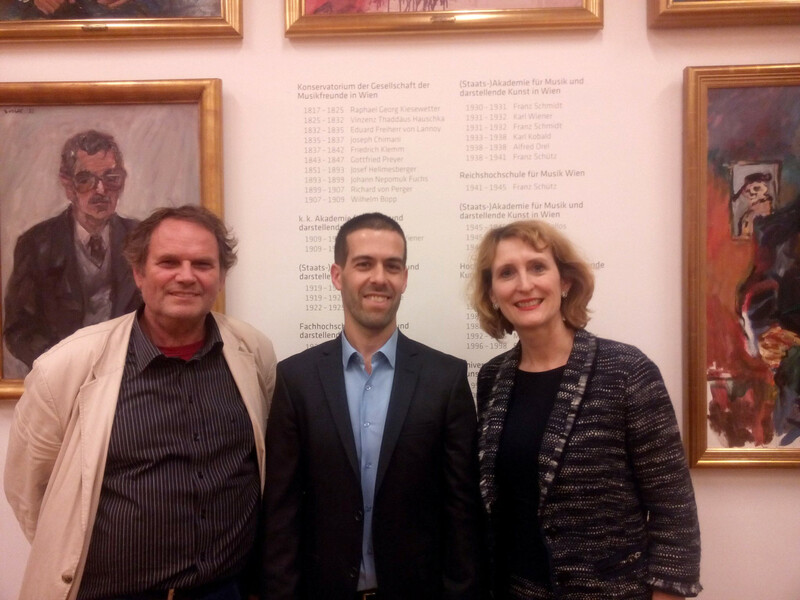 I successfully defended my PhD dissertation written at the University of Music and Performing Arts Vienna. In the theses titled “Crossing Over” I studied correspondences between composers’ communication strategies and composition methods in pop/classical genre-crossing works. What do genre-mixing composers intend to communicate when quoting elements of musical cultures with associations to extra-musical meanings like stereotypical lifestyles, personal traits and high-culture and low-culture groups. I observe musical exchanges of cultures in examples by composers like Debussy, Bernstein, Nigel Kennedy, popera and classical crossover stars, and also phenomena of the internet mashup and remix culture. What differences can be found between different sub-categories of crossover? How can different composition techniques used in genre-mixing works be classified and organized? I aim to provide answers to questions like these in the 300-page dissertation, which is about to be published also in book format by a German publisher.